Red Rock Canyon is characterized by a series of canyons and ridges sculpted by erosion of the area’s uplifted rock strata. The ridges and canyons offer beautiful views and sheltered enclaves for inspiration, varied terrain for recreation, and a 240 million year slice of sedimentary geology for education. In Section 16, the sedimentary geology is truncated by the Ute Pass Fault where the geology abruptly changes to much older rock. The varied terrain and geology support a wide variety of plant and animal communities. Human use of the area has left a heritage of varied and colorful history including Ute defensive positions, stone quarries, and gold mills. 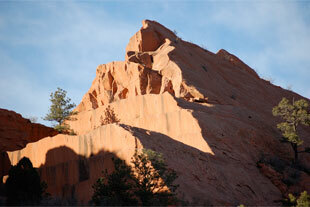 In 2003, the City of Colorado Springs acquired 789 acres of Red Rock Canyon area land for open space and parks. Of this 789 acres, 653 acres were purchased as TOPS open space which will be developed only for “passive recreation” -hiking, climbing, cycling, horseback riding. 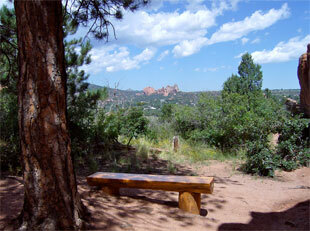 The remaining area accommodates picnic areas, and a bicycle free ride area. Recent purchases of adjacent properties, White Acres and Section 16, have expanded the total area to 1474 acres, bringing part of the popular Palmer Red Rock Loop Trail into Red Rock Canyon Open Space. 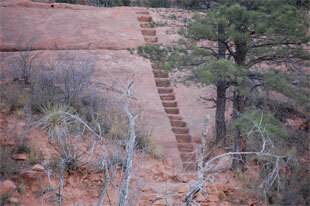 Many trails and park facilities are developed largely through the effort of volunteers. Check our volunteer opportunities page for information about upcoming projects.